Do you want to do more to immediately help people affected by our recent natural disasters? Does the word ‘Trojan’ instantly destroy your day? Interested in free food? 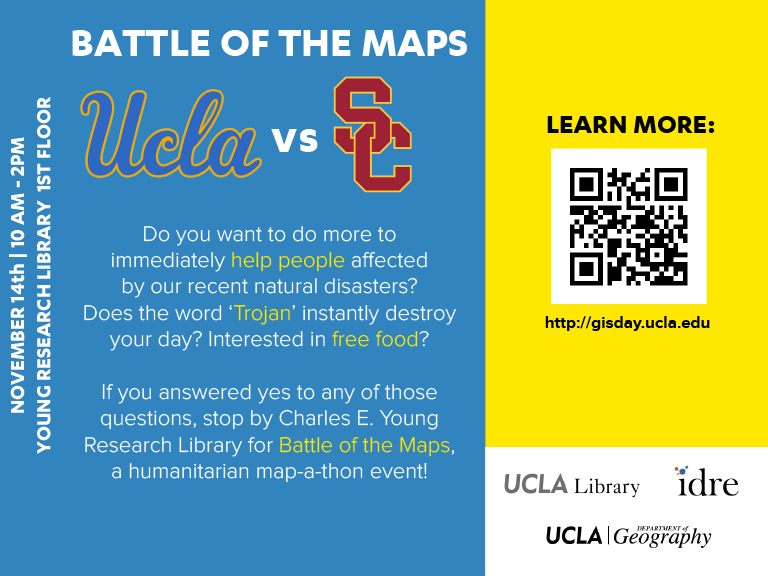 If you answered yes to any of those questions, stop by Charles E. Young Research Library for Battle of the Maps, a Humanitarian Map-a-Thon event. Refreshments and lunch will be provided in addition to short talks!